the esplanadians, part of the community around the esplanade street in downtown toronto, are welcoming participants of the pan am games, with photo exhibit and dance performances, expressing connections with the people from participating countries. 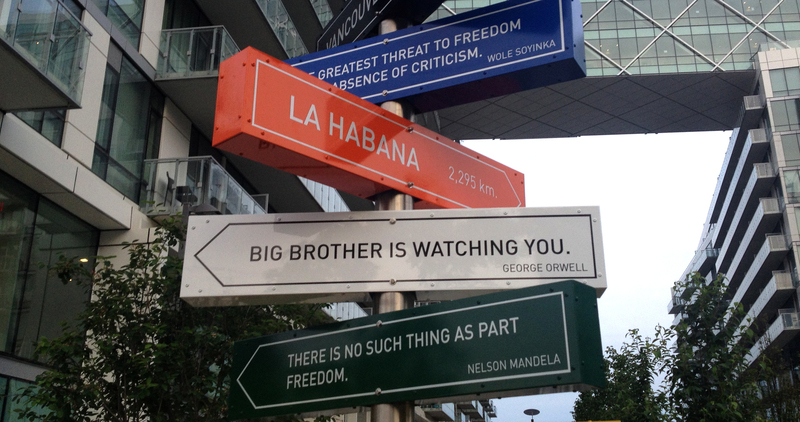 In my opinion the most interesting detail here is that big brother and havana are on the opposite sides of the world? !